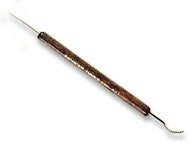 This fine, sharp needle is for placement of lace and the curved blade assists in pressing and cleanup. 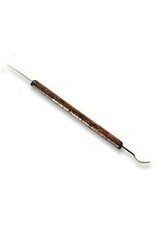 The blade is stainless steel with a smaller hardwood handle of 5/16in. diameter and 6-3/4in. total length.